When’s the last time you went for a cruise on a sailing yacht? You wouldn’t have missed the captain of the ship or the steersman standing behind the wheel. A ship’s wheel can serve as a good focal point for a room, lending it just the right nautical flavor! 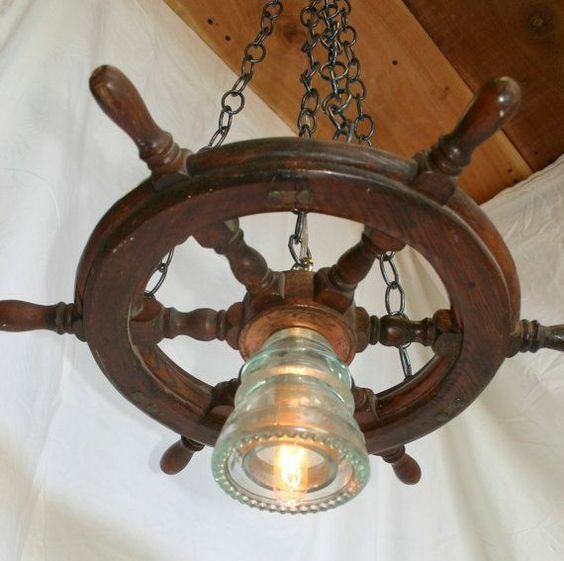 A rather unusual use of a ship’s wheel is as a chandelier or as a ceiling light. Guided by the wheel and guided by the light! 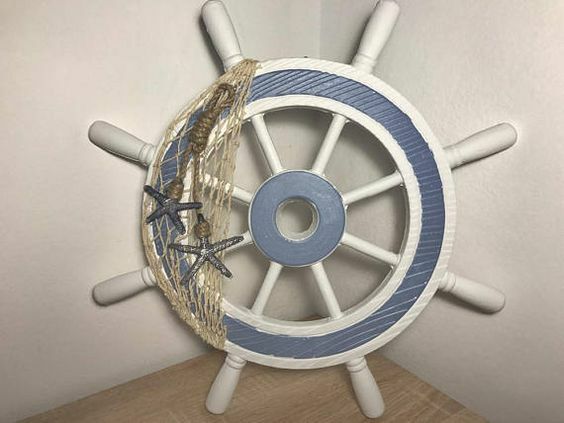 Decorating a ship’s wheel can be a great DIY project you can do with your kids. A fishing net and some starfish help add life. 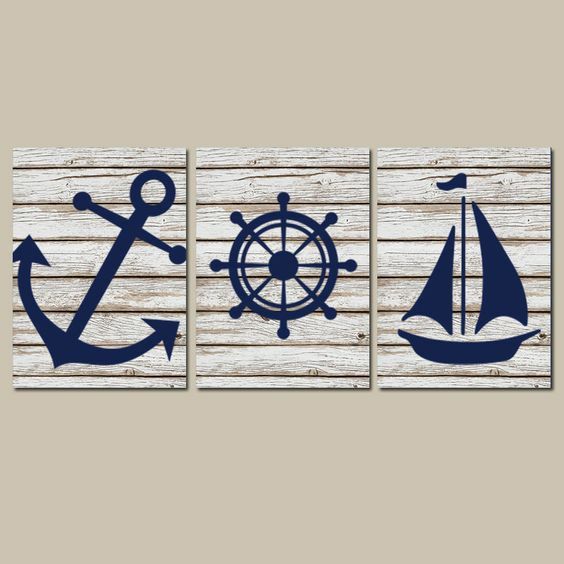 The look that never goes out of style: hang some ship’s wheels on the wall and surround them with nautical paraphernalia. 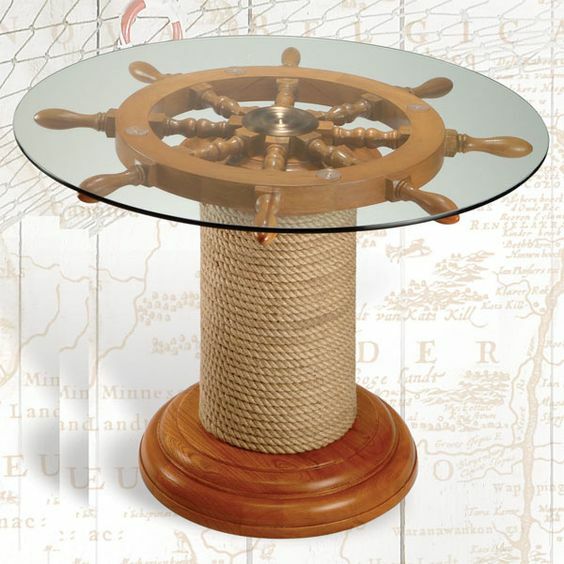 Make a beautiful table by attaching a wheel on top of a capstan, then wrap rope around it. Top it off with a circular glass pane. 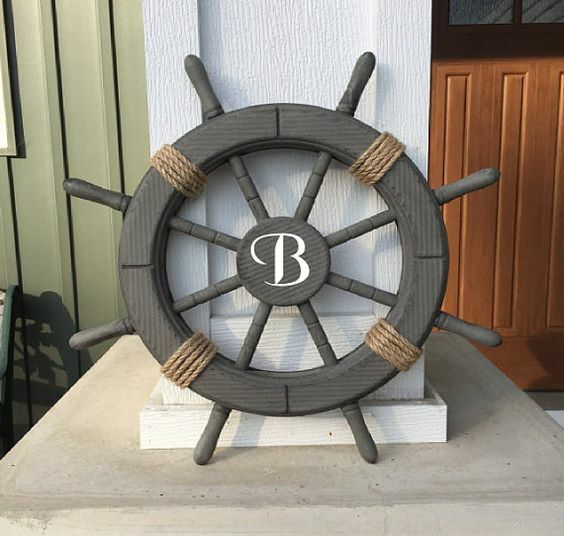 For an outdoor decoration, paint the wheel well to protect against the elements, and perhaps add your initials for that personalized touch. 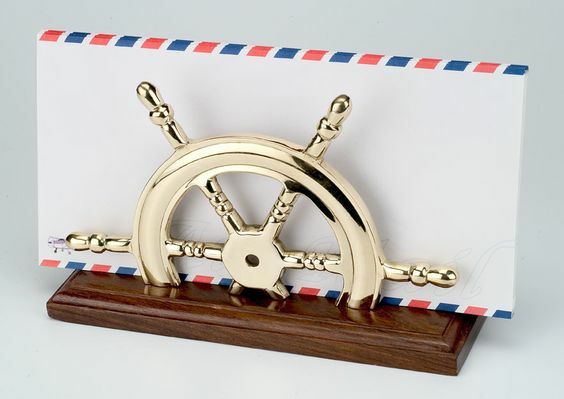 Brighten up your mantel with a shiny ship’s wheel mail holder. They may be air mail envelopes, but the smell of the sea is always inviting! 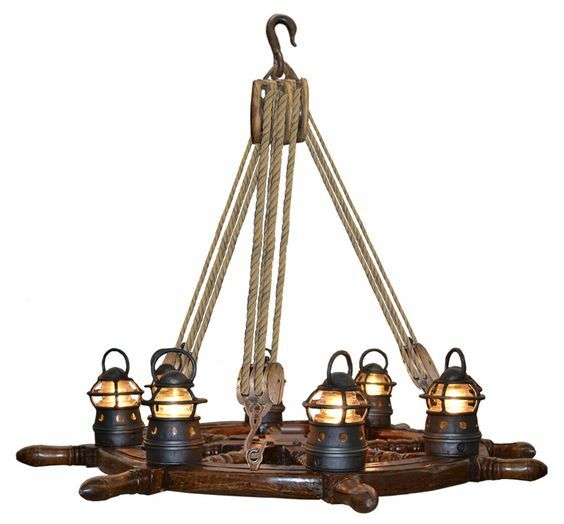 Bring together various elements of the ship, such as pulleys, ropes, ship’s lanterns and a wheel to form a unique chandelier. 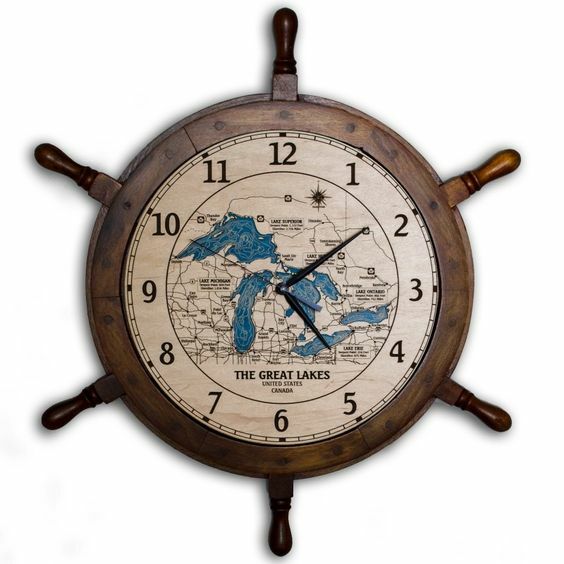 A ship’s wheel-shaped clock is both functional and decorative. A map in the center is suited for adventurers and explorers. 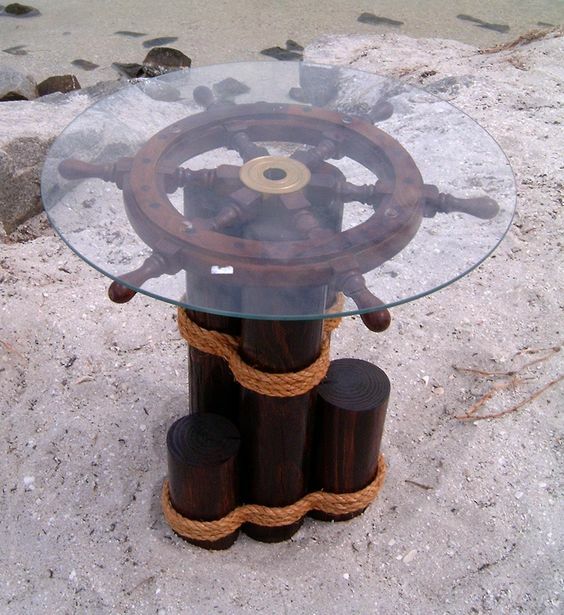 You can make a great table for outdoor use by attaching a ship’s wheel atop some logs and decorating the logs with ropes. Top it off with a circular glass pane. Avast, me hearties! 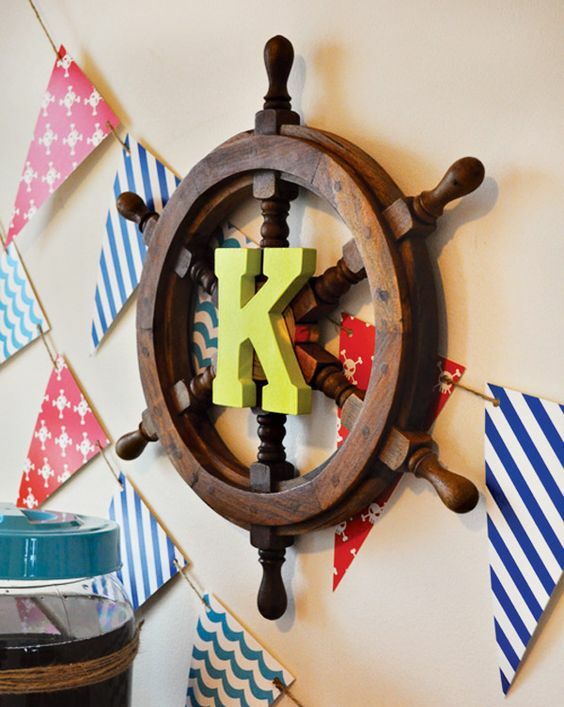 For the little pirates in your household, a personalized ship’s wheel on the wall and some sea-barrels will provide a lot of excitement. 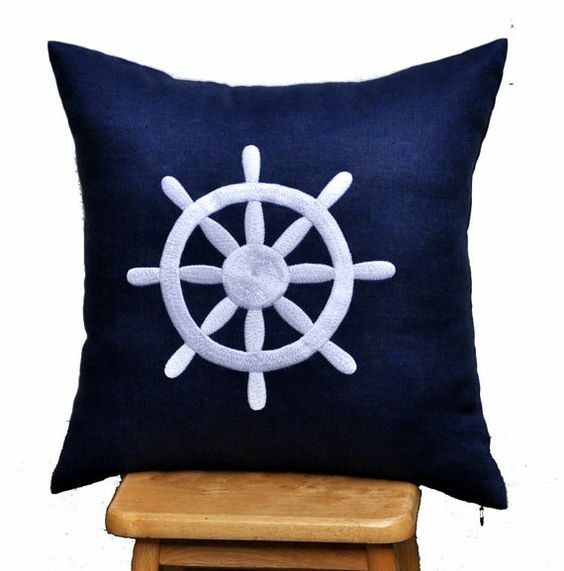 This cushion gives both comfort and color to a couch or stool. Use multiple colors to add brightness to a room. 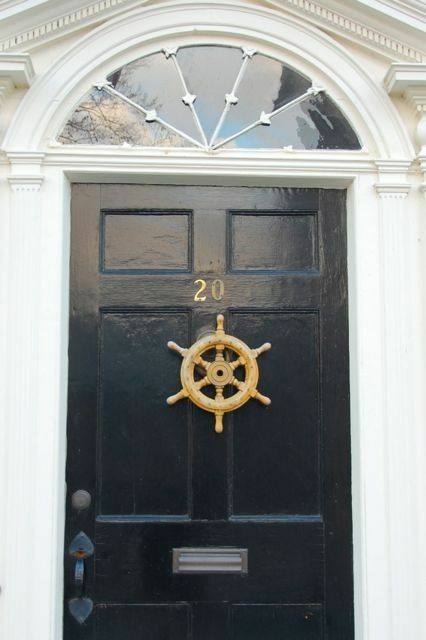 Whether a sailor, beach enthusiast or naval officer, a ship’s wheel on the door immediately signals that the residents have a link with the sea. Boats and other designs painted on bleached wood planks gives a beach-like feel any room. 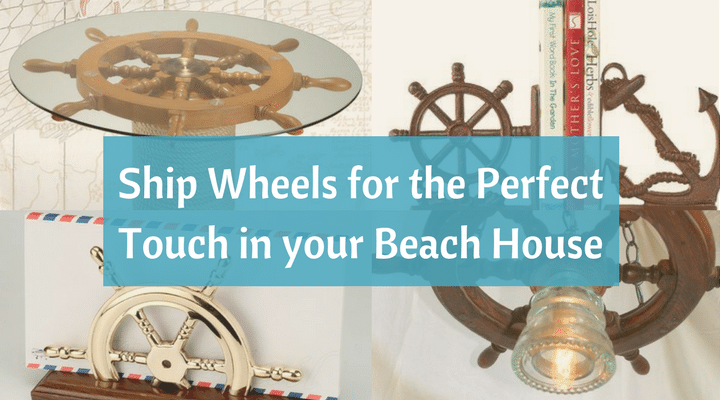 As you can see, it’s not that difficult to incorporate a ship’s wheel design into the perfect beach look for your house, both indoors and outdoors. 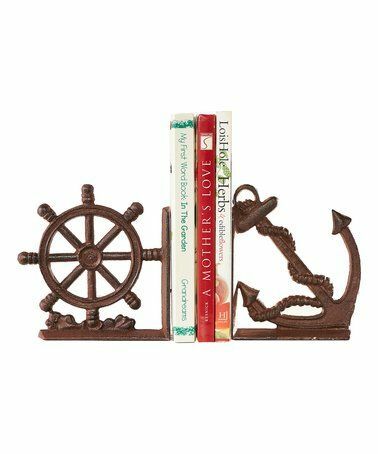 Use rope, wood, metal and scrap components from ships to complete the boating theme you’re looking for! 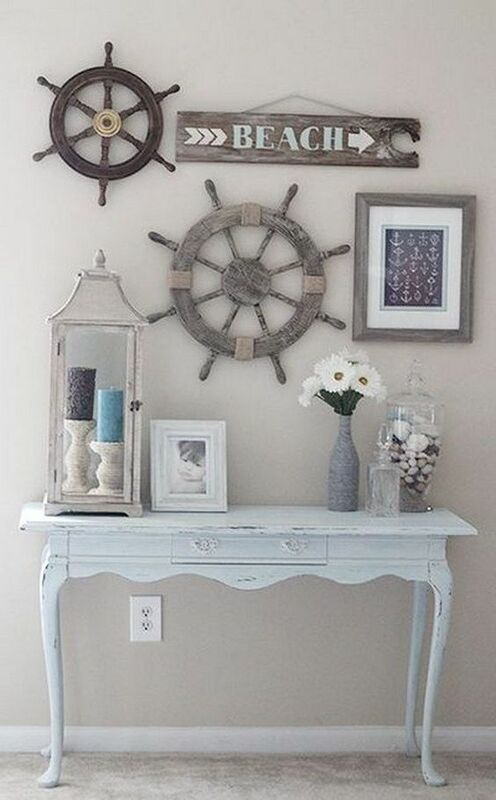 Do you have ideas for using ship’s wheels in decor? We’d love to see some of them!